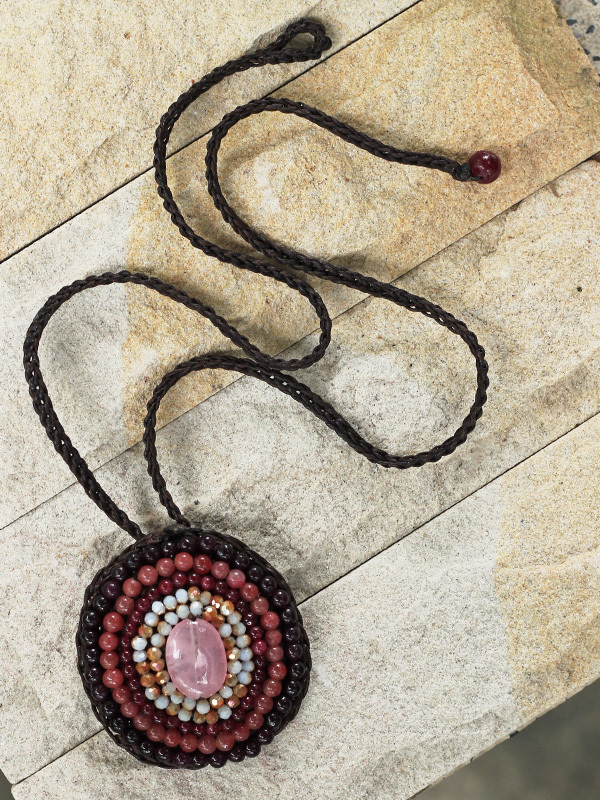 Hand-stitched crochet cotton foundation with colored accents and semi-precious stone decoration. 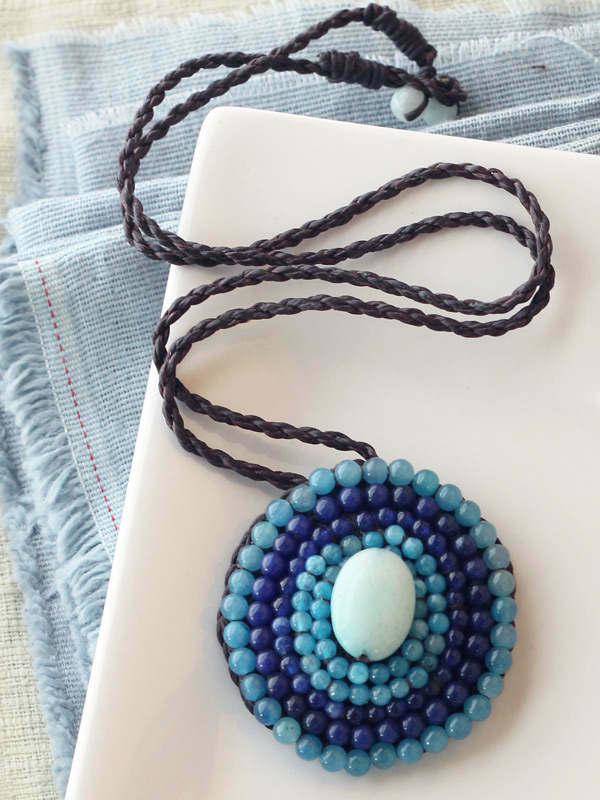 Size : Necklace: L 24", Dia. 1.85"